On my log, I can't seem to get the start time to be the actual time that a QSO starts. They seem to be locked together so that they both reflect the end time of a QSO. How can I fix this? Can you specify what mode(s) you have used? I looked my last qsos and they seems to be in order, except one CW qso with GM3WUX that I remember that it lasted several minutes, but is logged within one minute. I have to watch reason for this in future qsos. Other CW qsos seems to be in order. About FT8 (wsjt in general) qsos I know that somewhere in near past I added the endtime and it might be that it is not in official version yet. (Note at bottom of screen copy my version is 2.3.0.216). Now I know possible reason. Also why my GW3 qso (in previous msg) has same start and end time. When you type call to new qso you get suggested reports 599 599 (or 59 59). 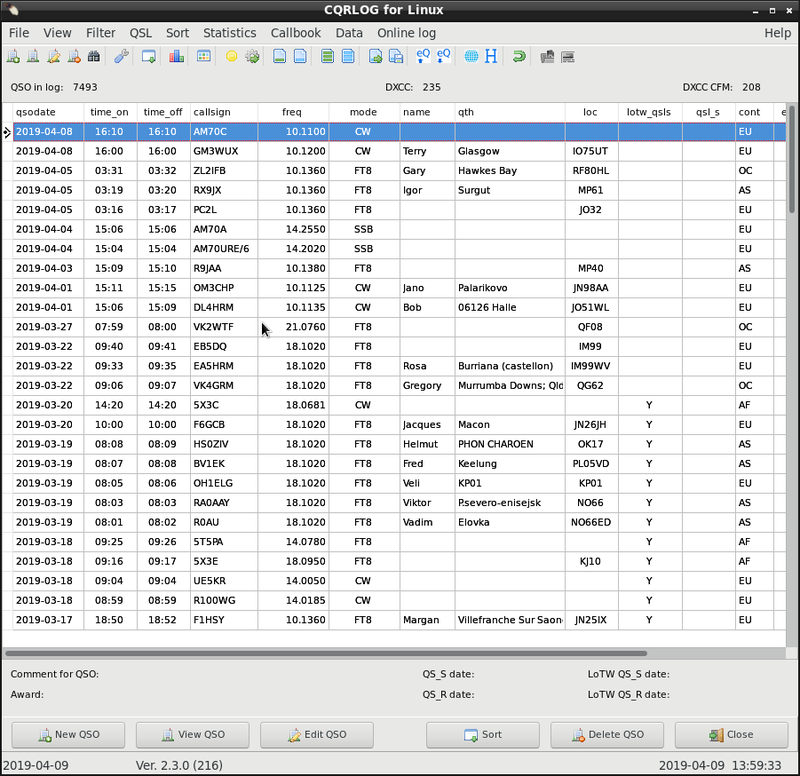 You also get station information from qrz or HamQTH at the moment you leave call editing column. Next step is column for your rst sent. 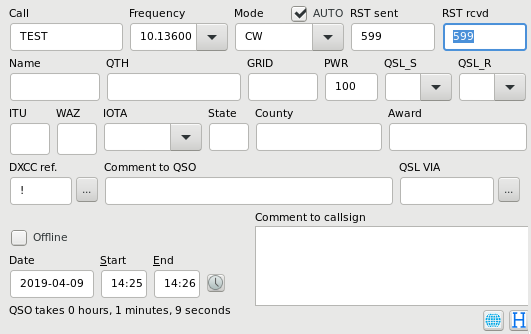 If you keep 599 and also receive is ok 599, have yourr qso and press enter (or button save qso) you will get same start and end times. You have to move cursor to rst received column. From that moment you will see (attached picture left bottom) text starting "Qso takes....."
That will start timer that changes column "end" above this text and it is recorded as end time when you save qso. If you do not move cursor at least to rst received column you do not get real end time. Yes, that proved to be the way! Worked beautifully. Strange that it should be so, but such is life I guess.